Yesterday was chilly, damp, and brown. 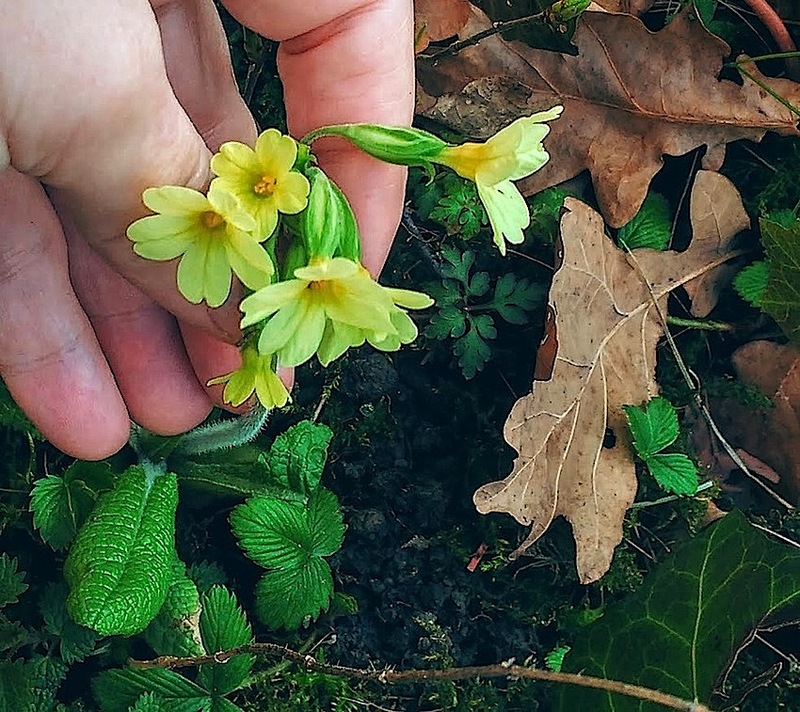 Today, it’s warm and sunny, and I found primroses in the woods. Next Post Vintage landscape: three deer. . .